$ 60 m EAP Group sale to UK Lyca Group today? 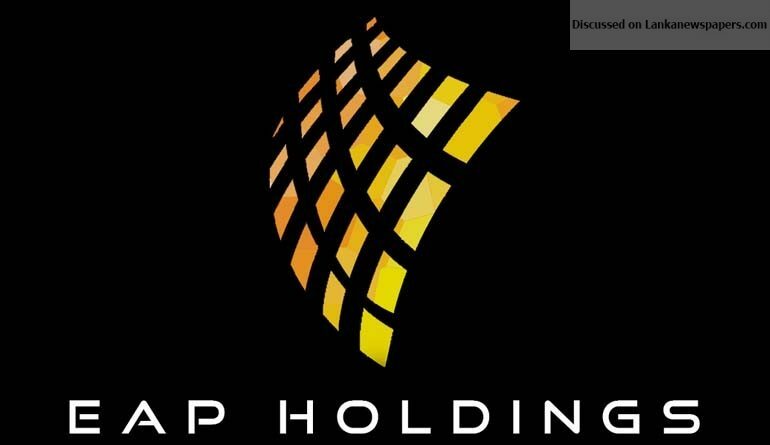 The sale of EAP Group assets for $ 60 million is speculated to be concluded today, with foreign investors having arrived yesterday, Daily FT learns. The Central Bank has been negotiating with Singapore-based Straits Grid Ltd., and the intermediary, Malaysian businessman Sudhir Jayaram, to dispose the assets owned by ETI Finance. The actual buyer is believed to be Lyca Group, UK, owned by Sri Lankan-born successful entrepreneur Allirajah Subaskaran. The EAP Group assets identified for sale include the television and broadcasting business, cinemas, and hotels. Daily FT learns the planned sale also got a higher offer from Asia Broadcasting Corporation Group, owned by Rayynor Silva. Central Bank has been tight lipped about negotiations or naming interested parties. There have been concerns and questions over the credentials of Sudhir, who is alleged to have been nabbed for taking foreign currency undeclared at Katunayake airport. Sources said Sudhir is only an intermediary, and opting for eventual buyer Lyca Group also means inflow of foreign exchange. ABC Group, on the other hand, would be mobilizing the funds via local banks. Acquisition by ABC would also mean additional frequency, further enhancing its dominance in television and radio business. Sudhir is also part of the consortium, which includes SupremeSAT famed R. M. Manivannan, engaged in the $ 250 million Horton Square mixed development project in Colombo 7, which the Prime Minister-chaired Cabinet Committee on Economic Management (CCEM) has raised various questions over. He was also named in the United Nations investigation into the famous Iraqi oil-for-food scandal in late 2000. Under the proposed investment proposals, ETI Finance will benefit with a cash infusion in excess of Rs. 11 billion, with all its subsidiaries receiving a further cash infusion of around Rs. 4 billion. This will be one of the largest investments into the country’s non-banking financial sector. The deposit base of ETIF is about Rs. 33.5 billion from 33,000 depositors, while SFSP is about Rs. 2.5 billion deposits from 2,300 depositors. Negative net worth of ETI Finance is Rs. 19 billion and that of SFSP is around Rs. 1.2 billion. With a view to safeguard the interests of the depositors and ensure stability of the financial system, the Central Bank in January appointed a new management panel to oversee troubled ETIF, and listed Swarnamahal Financial Services PLC.